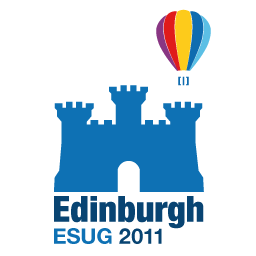 The 19th International Smalltalk Joint Conference is being held in Edinburgh, Scotland this year on 20-26 August 2011; with Camp Smalltalk running on 20-21 August and the main conference continuing on 22-26 August. As usual, it will also play host to the International Workshop on Smalltalk Technologies, a forum to trigger discussion and exchanges ideas around advances or experience in Smalltalk, which will be held on 23 August. This year will also see the 8th competition for the Innovation Technology Awards for excellent Smalltalk projects. But, as always, the main attraction will be the chance to meet, discuss and socialise with old and new Smalltalkers from around the world. There is an open call for papers; registrations are now open; and bookings are being taken for accommodation during the conference (which is being held at the same time as the world famous Edinburgh Festival, so early booking is essential). To encourage newer Smalltalkers, there is a student volunteer programme, and also the opportunity to apply for one of ten free places by emailing the ESUG board with subject: [ESUG 2011 Free entrance] + your name, and your case for receiving a free place. Submit a talk, a software or a paper to one of the events. Attend the conference! The board would like to beat the previous records of attendance (156 participants at Brest, 170 people at Amsterdam, 150 at Barcelona)!